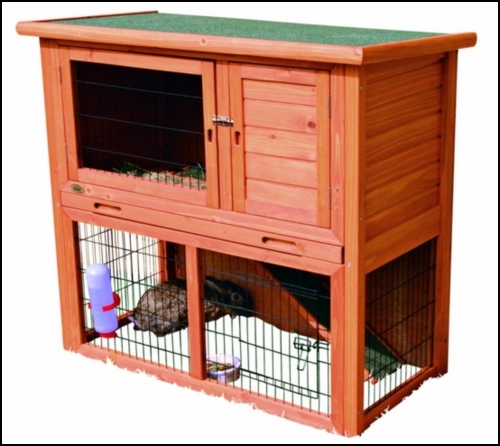 The TRIXIE’s Rabbit Hutch with Sloped Roof is perfect for your dwarf rabbits. This hutch has two-story and a retreat area on the upper level. 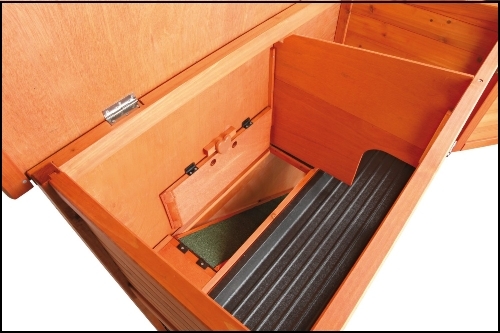 The option interior hatch door allows owners to restrict access between levels if needed. 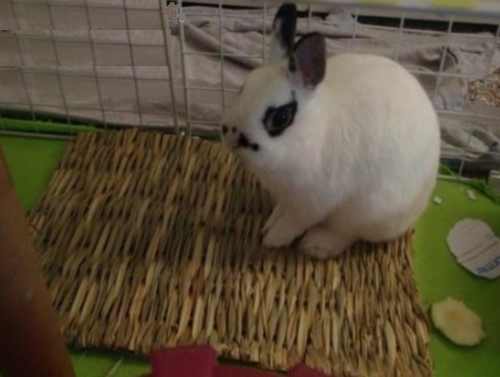 The non-slip ramp gives your rabbits to roam freely inside and outside,in the sun or in the shade for ideal comfort, upstairs and downstairs access . 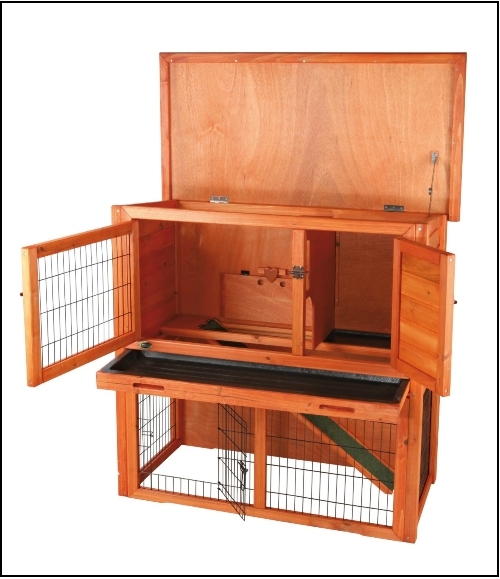 Wood paneling at the back offers additional protection for the hutch. For easy maintenance and cleaning, it includes a pull-out plastic tray and a hinged roof with locking arm that can be opened from the top. This Solid wood construction, glazed pine finish, and sturdy materials mean this hutch will last for years with very little maintenance. The dimensions of the hutch: 41 x 21 x 38 inches. Door opening: mesh 22 x 16 inches; wood 10 x 16 inches. Weight: 55 lbs. Color: glazed pine. Special Note: Water bottle and bowl not included. Where to buy and How much does this hatch cost? 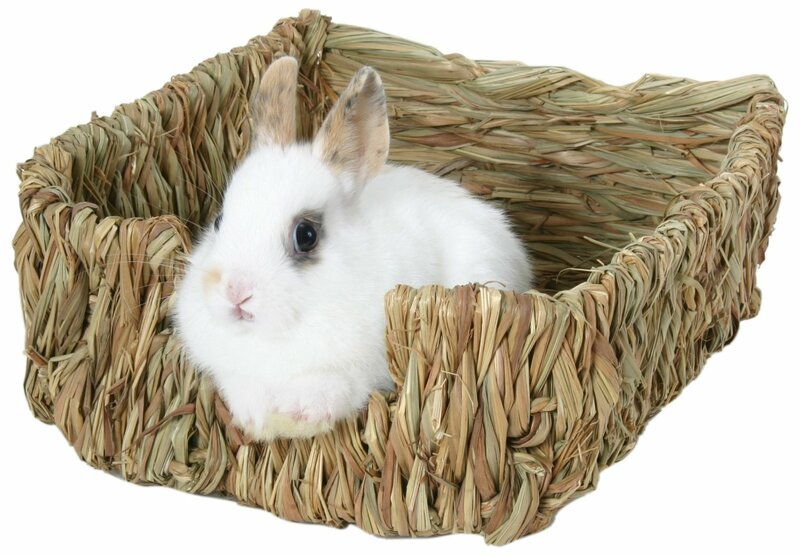 Once you decide to get the hutch for your dwarf rabbits, don’t forget to get this Peter’s woven grass mat for your pet. It is the ultimate in natural grass cage accessories, that protects your pets sensitive paws from wire cage bottoms and is safe for your pet to chew.